CAPCOM | "Monster Hunter 4 Ultimate" Becomes the First Title in this Series to Top One Million Units Shipped in Europe and North America! "Monster Hunter 4 Ultimate" Becomes the First Title in this Series to Top One Million Units Shipped in Europe and North America! Capcom Co., Ltd. (Capcom) today announced that overseas shipments of "Monster Hunter 4 Ultimate" for the Nintendo 3DS™ ("Monster Hunter 4G" in Japan) have surpassed one million units shipped in Europe and North America. These shipments include both retail and Nintendo eShop download sales. The "Monster Hunter" series is an action RPG game that pits players against giant monsters in a beautiful natural environment. The series has sparked a social craze known as the "Monster Hunter Craze" by introducing a new kind of communication style for players through cooperative play focused on hunting monsters with their friends. The number of fans has increased steadily since the first "Monster Hunter" title made its debut in 2004. The series has grown into a mega-hit with cumulative sales of more than 32 million units around the world as of February 16, 2015. In terms of the series, "Monster Hunter 4 Ultimate" follows the March 2013 launch of "Monster Hunter 3 Ultimate" in Europe and North America. The latest title is the biggest and most accessible yet, adding new monsters and weapons as well as dynamic three-dimensional action with even more vertical movements. Another feature is online play with others via broadband Internet, a feature that is in strong demand in Europe and North America. 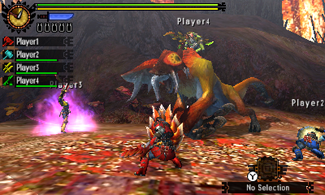 Since the launch of the previous "Monster Hunter" title in Europe and North America, Capcom has used many activities to retain the many enthusiastic fans and attract many new users. For example, there are special events and a robust online community for game players. 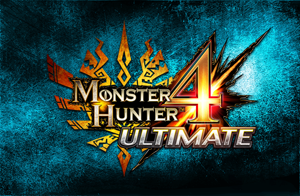 Downloads of trial games for first-time users and the continuous provision of free downloadable content have also helped extend the strong sales of "Monster Hunter 4 Ultimate". In Europe and North America, the successful launch of this new title coincided with the introduction of the New Nintendo 3DS™, which resulted in "Monster Hunter 4 Ultimate" becoming the first title in the series to reach shipments of one million units in Europe and North America. Capcom remains firmly committed to satisfying the expectations of all users by making the most of its industry-leading game development capabilities in order to create high quality gameplay experiences.